Protecting raptors of Washington's Columbia Basin. Loss and degradation of shrub-steppe habitat in Washington state’s Columbia Basin has reduced nesting sites and prey availability for ferruginous hawks and golden eagles. Raptor Ecology of the Shrub-Steppe was initiated unofficially in 1999, when Woodland Park Zoo (WPZ) raptor staff joined forces with wildlife research scientist Jim Watson and Washington Department of Fish and Wildlife (WDFW) to investigate migratory movements of ferruginous hawks from Washington. Ferruginous hawks are a state threatened species. The ambitious initiation of the project included deployment of 26 transmitters on migrant hawks and creation of a website to disseminate regular migratory information to the public. The program was officially named in 2003 and ferruginous hawk research was a staple focus of cooperative efforts from 2003–2005, which included WPZ participation in statewide nesting surveys, and installation of nesting web cams for live Internet feeds at hawk nests to study food habits and behavior. In 2005, the focus shifted to include an emphasis on golden eagle ecology. Golden eagles are a state candidate species for listing. WPZ assisted with field observations of eagles and capture of adult eagles for blood sampling and lead analysis. In 2011-12, the cooperative study included WPZ field staff conducting observations of ferruginous hawks and Swainson’s hawks interacting with wind turbines at study sites in north-central Oregon. This behavioral study is part of a larger investigation of Buteo movements and range use associated with wind turbines. 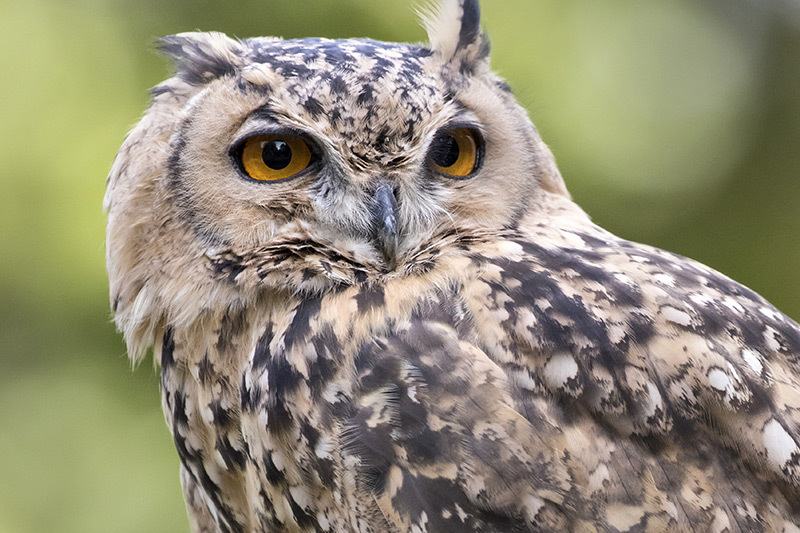 The long range goal of the project is to aid in protection of raptors, the shrub-steppe and the prairie habitats they occupy by using expert technical and field assistance of Washington Department of Fish and Wildlife and Woodland Park Zoo staff. In addition to helping answer research questions important to ecology and protection of these raptors and their habitats, such as defining migration corridors, identifying sources of contaminants, or learning how raptors avoid wind turbines, we hope to spark interest in conserving shrub-steppe habitats by fostering an appreciation of the charismatic resident raptors through educational programs and publications. Cameras are still being placed at golden eagle nests to assess prey; unfortunately the eagles don’t always cooperate and frequently don't return to their original nests. The goal is to continue installing cameras in the hope that we'll eventually be able to offer live feeds of the eagles as they nest and raise their young. In addition, the nest observations allow WDFW the opportunity to better identify potential sources of lead contaminants in adult eagles by understanding their dietary habits. Both of these raptors are residents of the western U.S. Ferruginous hawks are migratory, coming to Washington to breed and raise their young in the arid shrub-steppe habitat, while golden eagles inhabit this same area year-round. While ferruginous hawks are threatened, golden eagles are a candidate for listing in Washington. Their decline in shrub-steppe habitats in the Columbia Basin eco-region is most directly related to agricultural conversion that has resulted in loss of prey. However, lead contamination appears to be another serious threat, as are illegal poaching and electrocution. Lead contamination appears to be a serious threat to golden eagles. Because lead contamination from ammunition sources may be one of the most manageable issues impacting golden eagles, WDFW will address the issue by collecting the best quality information on contamination vectors, disseminating the information publicly, and using this information to support policies to reduce or eliminate lead in the environment. Blood samples will be collected from resident adult eagles, and tissue samples will be collected from major prey groups. Samples will be submitted for isotope analysis and lead analysis. For years, WPZ staff has conducted observations at Buteo nest sites at wind turbine projects in north central Oregon. Their field role is to observe nesting buteos (red tailed hawks, Swainson's hawks and ferruginous hawks) and record any interaction a raptor has with a wind turbine. Interaction is described as any time a raptor comes within 400 feet of a turbine on any side. 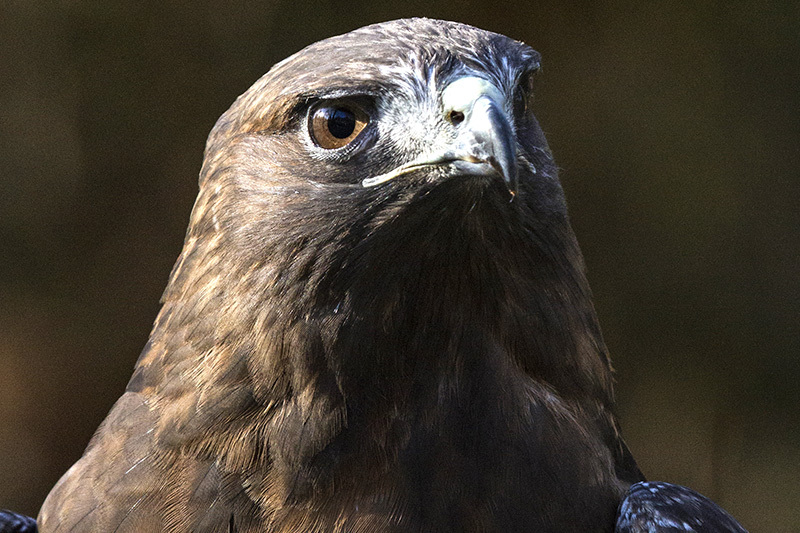 Over the years WPZ keepers have logged more than 265 hours of observation, and record 265 hawk visits to the encounter zone. In addition, the zoo has participated in bald eagle rehabilitation, giving us an opportunity to heal and display injured birds.